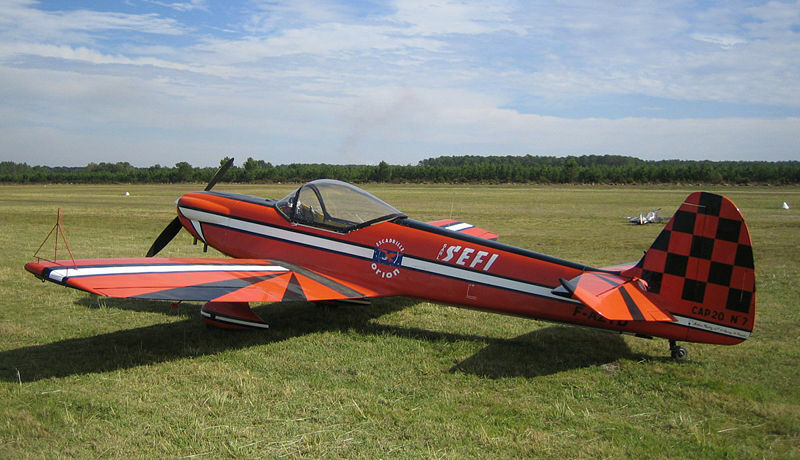 The Mudry CAP 20 is a French family of aerobatic competition single seater monoplanes. Developed at the same time as the CAP 10 as a single-seat aerobatic version. It was followed by a lightweight version designated the CAP 20L which in turn was replaced by the CAP 21 with more advanced wing. The CAP-20 is the first of the list, flown in the early 70's as a 200 hp powered narrow bodied CAP-10. The CAP-20L was a lightened version of the -200. The CAP-21 used the same fuselage but a different trapezoidal wing. All of those planes used a 200hp version of the Lycoming AEIO-360 injected flat-4. The CAP-21 was then developed as the CAP-230. Lightweight variant powered by a 180hp (134kW) Avco Lycoming piston engine. Lightweight variant powered by a 200hp (149kW) Avco Lycoming piston engine. Proposed production version. Not built.